Bradford’s Trigger Thumb open the Arc for the final time this year and they do it in style, stunning the festival’s early risers with a raft of creativity, originality and diversity. Arron Dulay’s incredible vocal range manages to sound like Matt Bellamy of Muse in one instant before dropping to low, growling screams and everything else in between. 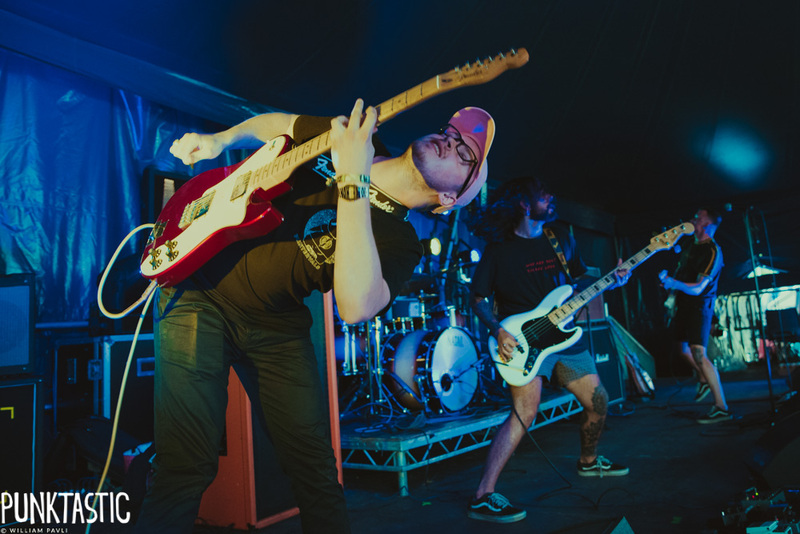 Musically, their angular, mathcore riffs are interesting and clever, but also laced with heavy grooves that aren’t too dissimilar to Arcane Roots at their heavy moments. Bass player Damen Hughes continues to command the stage – only this time with more room than when we last saw Trigger Thumb at StrangeForms – twisting and contorting his body in time with the jagged timing of their riffs. 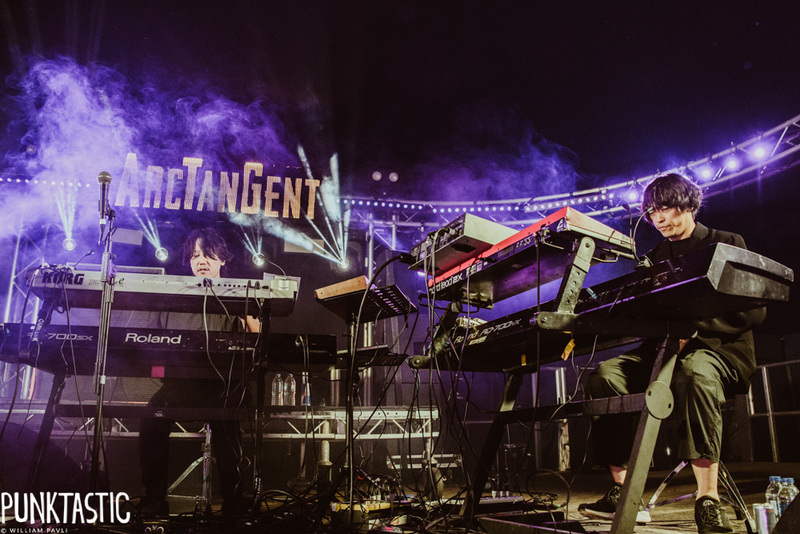 It’s great to see this hugely talented act move so quickly to the main stage of ArcTanGent and based on the reception they’ve earned here, there will be plenty of people looking out for them in the future. Only Echoes Remain have a more direct approach to instrumental rock than most of the acts we’ve seen this weekend, diving headlong into big passages of noise with an urgency that doesn’t care for protracted build ups. Forceful and driving drums lead the band eagerly through passages of swelling bass, tremolo guitars and delicately overlaid lead lines that all converge to create a mass of sound. 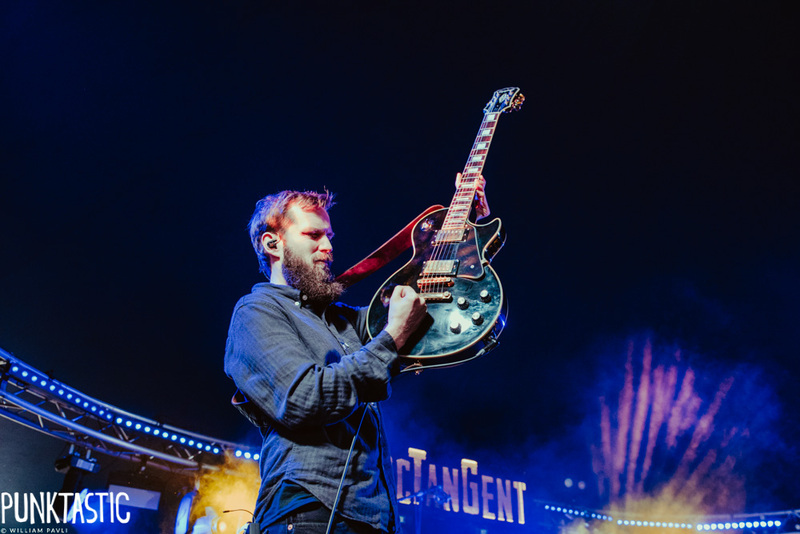 At times the band drift slightly apart as they navigate various time signatures and tempo changes, but it’s a minor hiccup in an otherwise solid set that shows the virtues of the more forceful side of instrumental rock music. Over at Bixler, the noise intensifies further as Ilenkus arrive kicking and screaming, directly into the faces of the crowd. They’re currently touring with fellow noise merchants God Mother and their set seems almost like déjà vu, coming across very similar to yesterday’s offering from their touring partners. Heavy instrumentals, screamed vocals and a singular mission to ramp up as much intensity as possible, it’s a decent performance that makes sure the day three crowd is thoroughly wakened, though it does become monotonous as the set goes on. VLMV released their gorgeous album ‘Stranded, Not Lost’ earlier this year and their minimalist, emotive songs provide a calming break from the ferocity that preceded them. The set gets off to a delayed start due to technical issues, the sound desk clearly struggling to accommodate the range of equipment necessary for VLMV to recreate their compositions live – including guitars, loop pedals, a laptop, a keyboard and vocal effects, as well as dual screens to lend a visual aspect to the performance. It’s a disjointed start once the set eventually gets underway, both musicians taking time to find their way around stage and settle into the performance, but as the set goes on the beauty of their music transcends any onstage gremlins. Vocals soar above gently strummed chord patterns, accompanied by electronically triggered ambiance to create a soothing atmosphere. It’s a shame that, just as they’re getting into the swing of things, their set has to be cut short due to the late start – but with so much potential on offer here, VLMV could become a hugely compelling act if they can fully coordinate everything on stage and make the performance as seamless as their beautifully constructed songs. There’s nothing minimalist about Telepathy, however, who commit fully to their darkened brand of post rock with gusto. 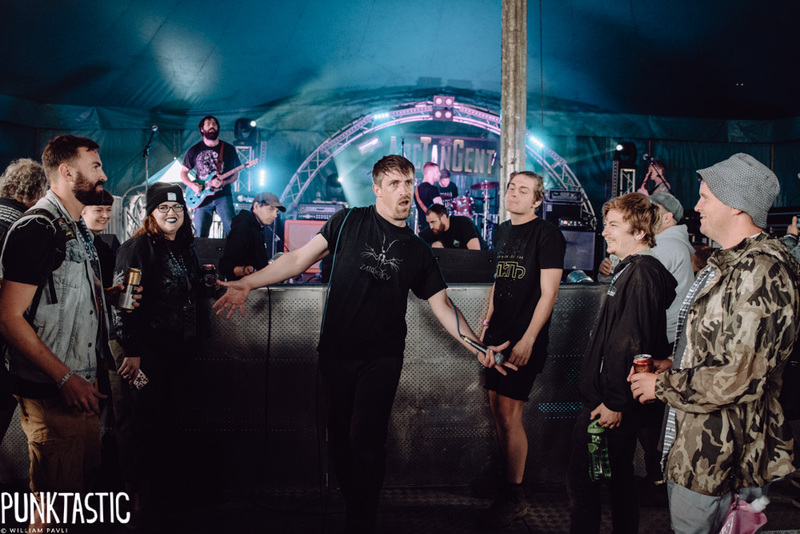 Their instrumental concoctions sound enormous on the Yokhai stage, conducted by powerfully struck drums and booming guitars that give their sound a sinister edge. There’s an underlying majesty to their songs, making them epic in scale, but with a sub tone of melody that means it’s not just bluster, the subtle harmonies making each track sound like an emotional reprieve in an ancient war that’s about to break loose. In the moments where this tensions snaps, drummer Albert Turek pounds the double bass and the bass guitar grinds low to add extra power, giving Telepathy one of the more impactful and memorable sets of the day. Coldbones’ recent album ‘Where It All Began’ displayed a remarkable understanding of instrumental post rock for a band so young, and live, their material is even more breathtaking. Hitting the sweet spot between build up and pay off, their songs dance along at a perfect pace that always heads towards the most satisfying conclusion. On stage, the quintet play with such passion and commitment that it’s impossible to not get sucked in by their enthusiasm and as they visibly feel each note they play, the emotion bleeds through into the crowd. 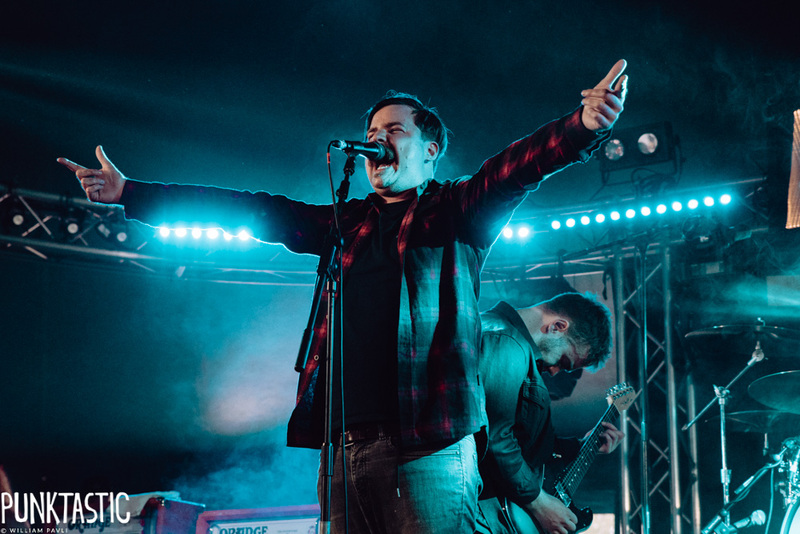 Ever since Black Peaks released their phenomenal debut album Statues back in 2016 the wait for a follow up has been excruciating, but thankfully we now have a release date for album number two – ‘All That Divides’ on October 5 – and to tide us over till then, another flawless festival performance. Old favourites ‘Say You Will’ and ‘Saviour’ go down a storm as ever, but the raw power and ferocity of the new tracks, including new singles ‘Home’ and ‘Electric Fires’, are the real stars of the show. Demonstrating refinement and progress over their already staggering existing material, the wait for hearing the whole thing will now be even more painful. 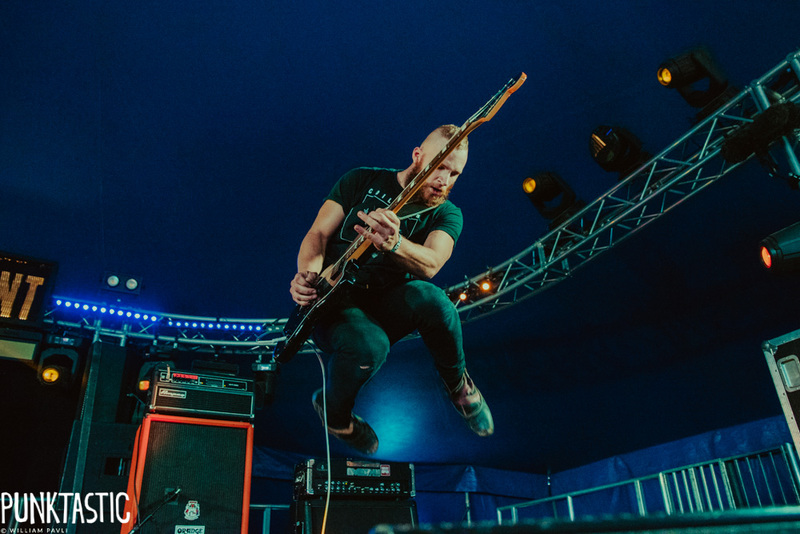 The voracity of drummer Liam Kearney and the unbelievable vocal talents of Will Gardner make for an unrivalled combination and with a barrage of clever yet biting guitar riffs, it’s a formula that never fails to leave a lasting impression in a live setting. When a band can entertain you simply during a soundcheck, you know you’re in for something special. The front man of Belgium’s The Guru Guru continues to talk through an interesting tale about fish while he sound checks his microphone, giving the perplexed crowd an indication for what’s to come. The band groove through fuzzy riffs laced with the odd electronic effect, and unique vocals that bark and yell over the top to create one of the most zany and eclectic sets of the weekend. It’s not to everyone’s taste, but it’s great to see the range of diversity at the festival and it’s a welcome taste of the bizarre. This closing day of ArcTanGent 2018 has been a celebration of variety and up next at Yokhai is another unique act, with Mouse on the Keys. Centred around two keyboard players and a drummer, the Tokyo act weave intriguing piano melodies around a constant stream of excellent, hard hitting drum grooves, pivoting around clever timing changes and tangential harmonies. Occasionally the band introduce saxophone parts into their songs as well, giving yet another dimension to an already diverse and enthralling act. A thoroughly enjoyable performance that attracts the largest crowd at Yokhai we’ve seen yet. Arcane Roots’ recent record ‘Melancholia Hymns’ took their sound to grand new heights, expanding their angular alt-rock with an epic new soundscape, one of the catalysts being vocalist Andrew Groves’ newly found experimentation with electronics. Tonight though, there’s no synth to be seen on stage and the new-wave Arcane Roots sound is temporarily parked in favour of churning out all of their heaviest hits. 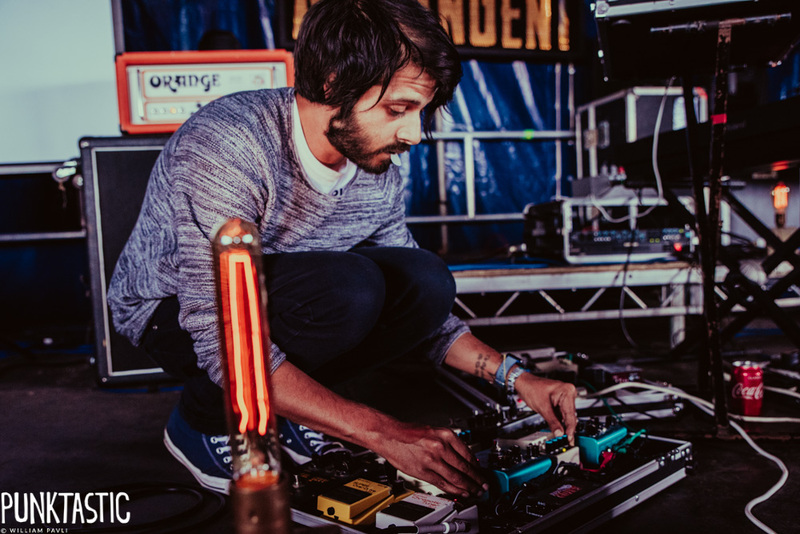 ‘Triptych’, ‘Slow Dance’, and ‘If Nothing Breaks Nothing Moves’ all sound enormous on the Yokhai stage and when the band choose to air new tracks, it’s in favour of the more forceful ‘On The Floor’ and ‘Landslide’. Their ability to land bone crushing riffs amongst angelic vocal passages and melody is astounding and with Groves’ voice on top form as ever, the whole performances whizzes by in an instant. 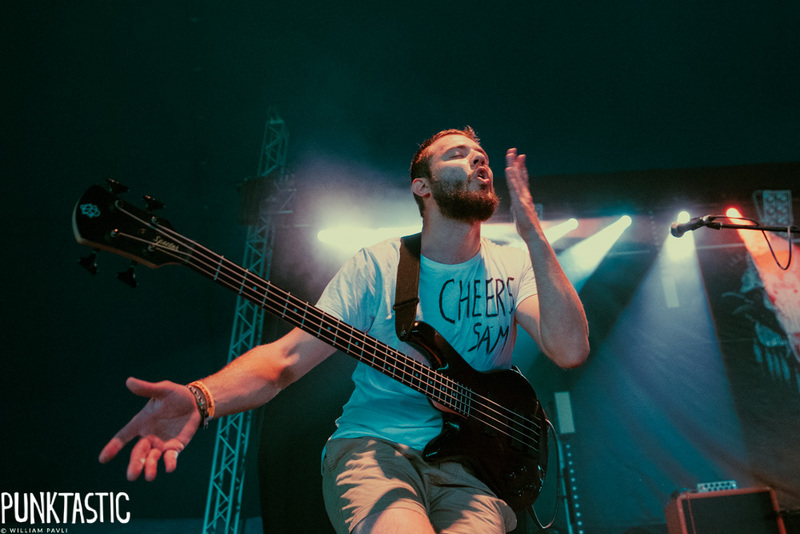 This setlist blends new with old better than any performance we’ve seen to date from Arcane Roots and their spotless execution might just make this their crowning achievement to date. 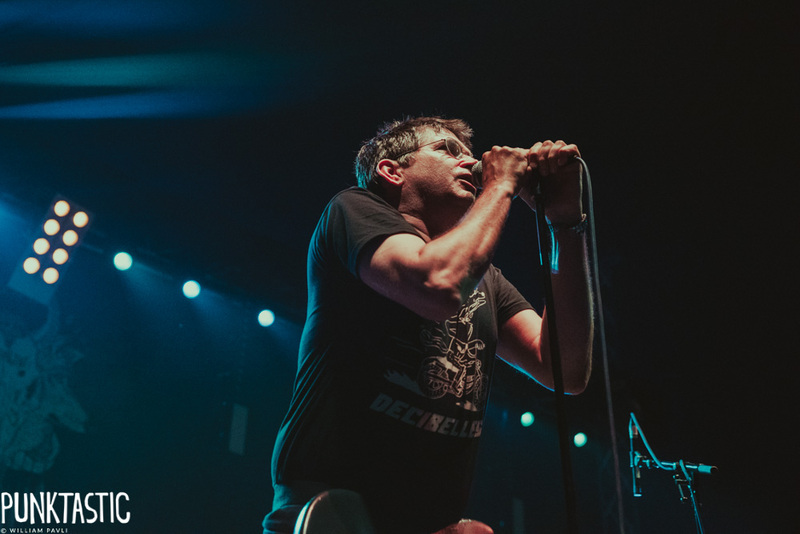 It falls to Shellac to close out another superb year of music at ArcTanGent and the veteran trio rise to the occasion well. Guitarist/vocalist Steve Albini has lent his production talents to many acts in the past and tonight his own band get the benefit of his intervention, the guitar tone sounding crisp and massive, whilst somehow maintaining a minimalist, clean feel. It’s backed up by a vibrant, lively rhythm section that’s so perfectly in time, despite navigating ever-changing time signatures, that you wonder whether the three band members all share the same brain. Despite being around since 1992, Shellac have managed to stay sufficiently under the radar to prompt many festival goers around us questioning the identity of tonight’s closing act, but after an hour of the band’s chunky riffs and driving drum beats, it’s clear that Shellac have earned their status as headliners. 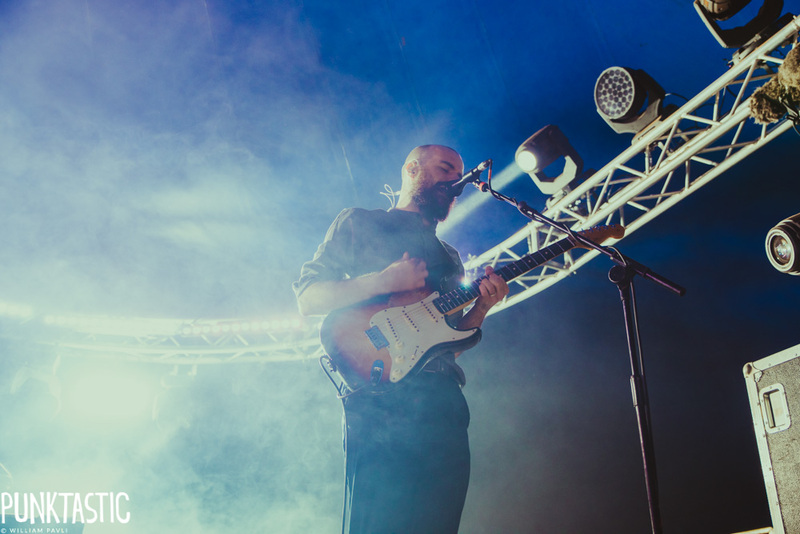 This year’s stellar line-up has provided the chance to savour some favourites, as well as discover new hidden talent, and the new, fully-enclosed setup on the Main Stage has proved its worth against the seemingly constant drizzle. These incremental improvements, on top of the festival’s already established core, is what makes us eager to return every year. Bring on the next one.